At least six people have been killed and more than 50 wounded in Afghanistan‘s northern city of Kunduz in an assault by Taliban fighters, according to a local official. 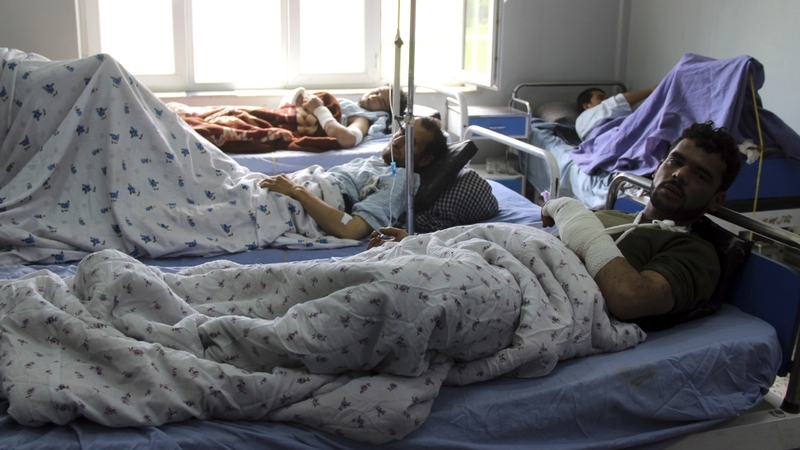 Mohammad Yusouf Ayubi, the head of the provincial council in Kunduz, said the group’s forces attacked the city from multiple directions in the small hours on Saturday. Hundreds of people fled their homes as the sound of gunfire and explosions echoed from the city’s outskirts, he was quoted as saying by the Associated Press news agency. At least two Afghan troops were killed in the incident, along with 27 Taliban fighters, according to Attahullah Khogyani, the governor’s spokesman. The Taliban, which frequently exaggerates numbers, claimed to have killed or wounded “more than 200 soldiers, police and militias”. The assault came hours after the Taliban announced the start of Operation Fath, the name the group has given to this year’s spring offensive. Also on Friday, the Taliban ambushed a police convoy in the western Ghor province, killing seven security forces, according to Abdul Hai Khateby, the provincial governor’s spokesman. Afghan President Ashraf Ghani‘s office on Saturday condemned “in the strongest words” the announcement of Operation Fath. “The continuation of war is no one’s interest,” it said. Later this month, Taliban officials are expected to meet Afghanistan representatives, including some officials from the government in Kabul, in Qatar‘s capital Doha. The Taliban has long refused to speak officially with Kabul, dubbing the government a “puppet” of the West, and the group has insisted that government officials are attending only in a “personal capacity”. The United Nations last week said it had lifted travel bans for 11 Taliban delegates, including Mullah Abdul Ghani Baradar, a cofounder of the movement and its top political leader, as well as Sher Mohammad Abbas Stanikzai, the Taliban’s former deputy minister of foreign affairs.